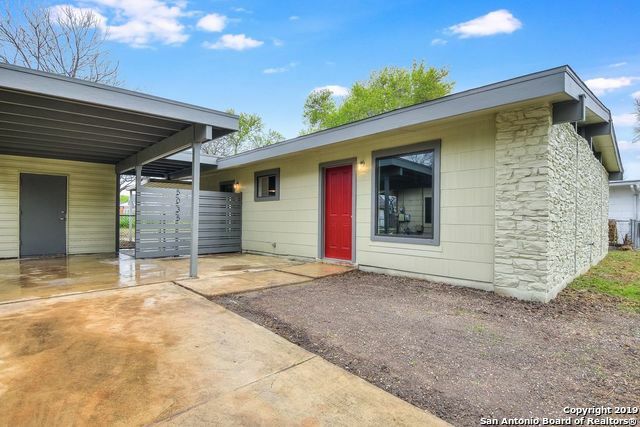 All PARK VILLAGE homes currently listed for sale in San Antonio as of 04/22/2019 are shown below. You can change the search criteria at any time by pressing the 'Change Search' button below. "New coat of paint through out interior of home. *Upgraded kitchen. *Ceramic tile at entry, living room/dining combo area, kitchen, office/study/laundry room, and hallways. *NEW laminate wood plank flooring in master bedroom and in additional bedroom. * Carpet in additional bedrooms. * Covered patio. * Shed and 6 security cameras throughout the exterior convey EXCEPT the additional ones in the front & back entrance. *White range in kitchen stays EXCEPT the Stainless steel range and fridge. *LOTS of parki"
"Fully Renovated and ready to move in, this charming home has been completely updated with a new kitchen with granite counters, new bathroom, new windows, new sheet rock and trim, new interior and exterior doors and all new plumbing and lighting fixtures. This home is freshly painted inside and out as well. An air conditioned bonus media room/office/additional living area is steps away from the main home. 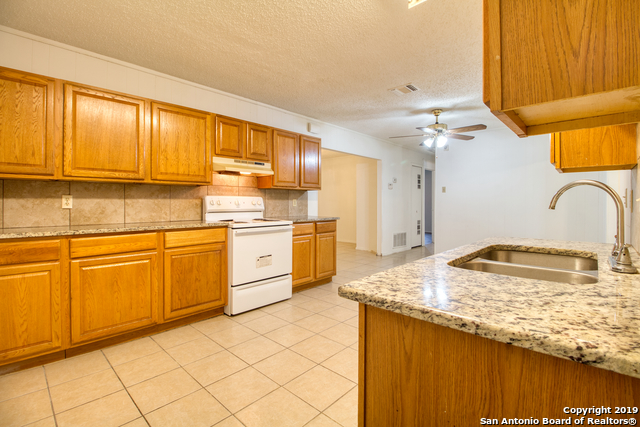 Close to I35, Loop 410 and I10, this home is where you want to be. Come see this beautiful h"
"Close to IH35, shopping, schools, and restaurants. renovated one year ago." "Charming one story home JUST LIKE NEW! Fresh Paint Inside-Out! Brand new flooring throughout the house! New fixtures and granite counter tops. Large backyard with a huge covered patio slab for your big Texas size bbq! Minutes from major highways! Convenient to shopping & restaurants. Open house this Saturday, April 20th from 12-3pm. Come check it out!"